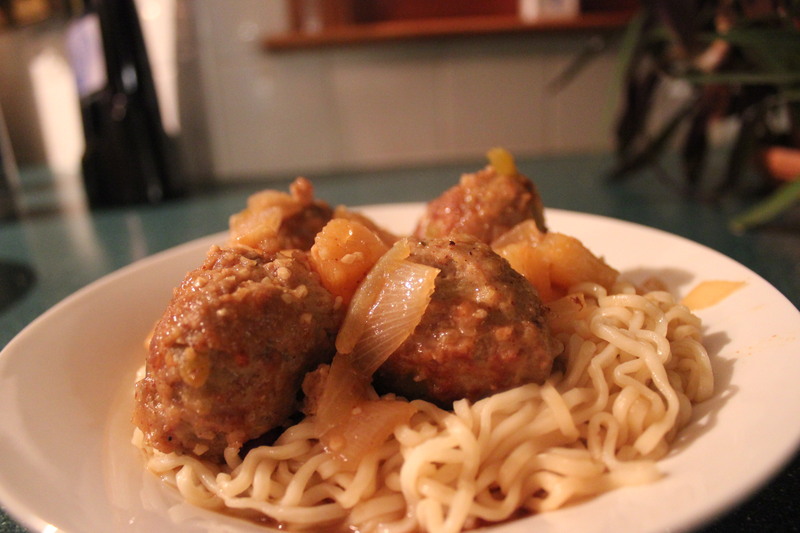 These addictive meatballs taste like Chinese dumplings and the sweet sauce makes them totally over-the-top irresistible. 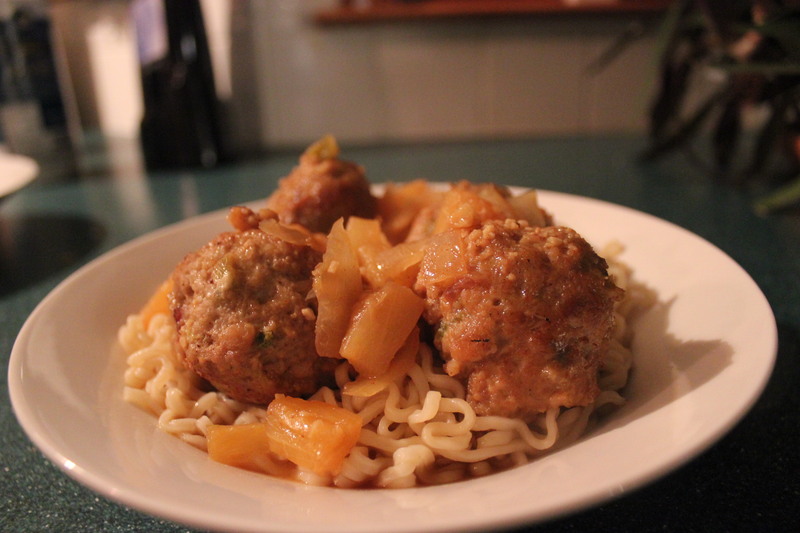 Serve them with rice and a cucumber salad for a lovely, simple dinner; or over Chinese noodles (Udon, Raman etc.) with plenty of the sauce. I love trying to come up with different recipes, using ground chicken or turkey as an alternative to beef. 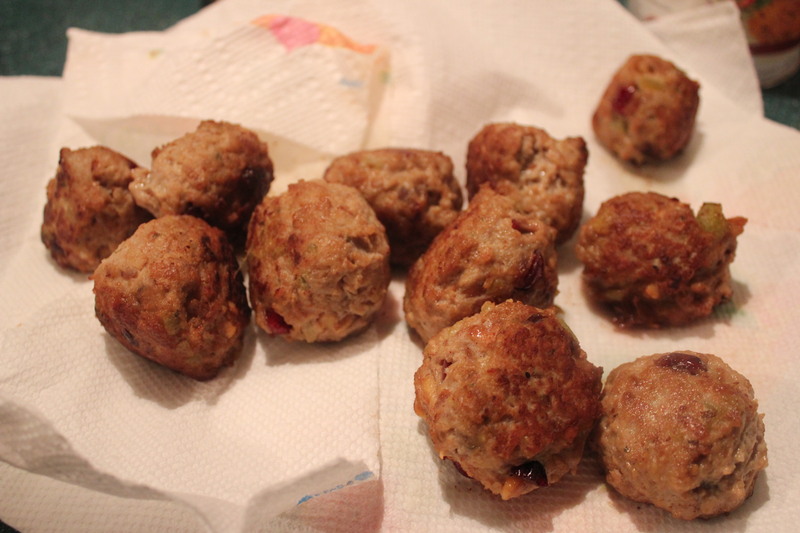 I have added Cranberries as well as chopped walnuts to this recipe for the sweet tang and the texture they add. 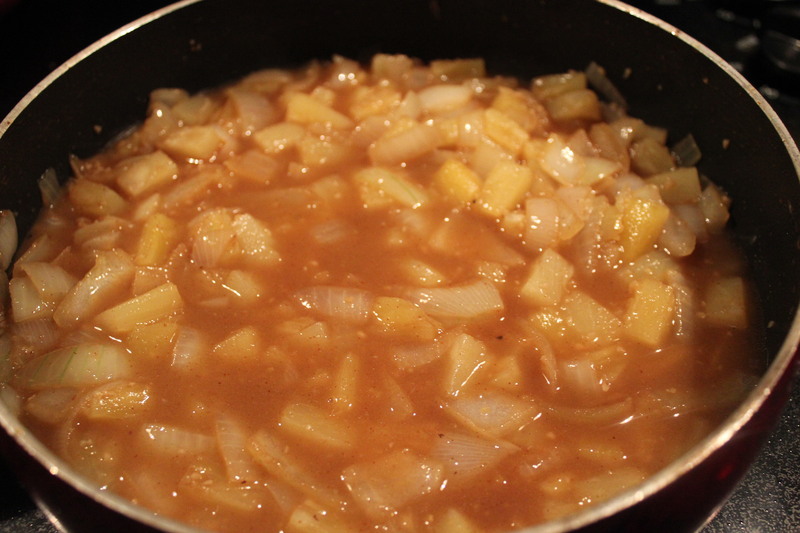 Stephan (my Husband) does not like super sweet meals, (unlike his super sweet tooth for desserts) So I try to cut back on the sugars, I have kept the brown sugar in the recipe for you to use but I did not use the brown sugar for mine, the pineapple made it sweet enough for us. I am sure there are a ton of different ways this recipe could be made, perhaps bake the meatballs rather than use a skillet. 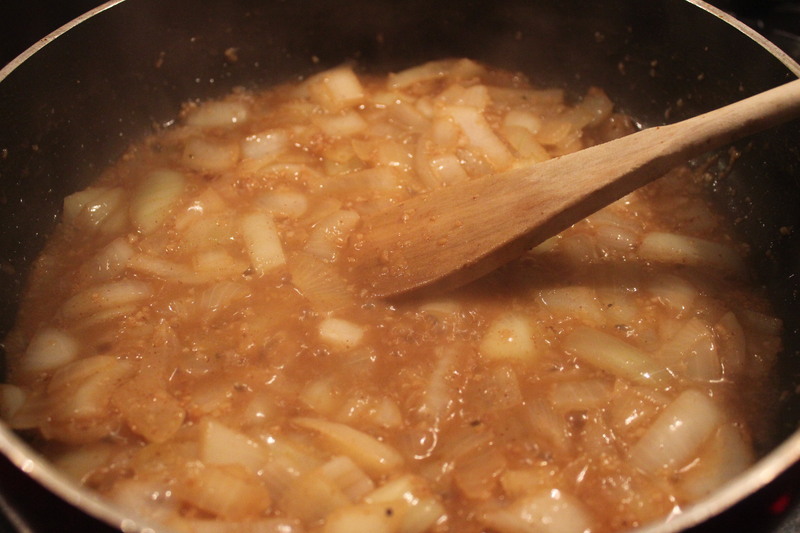 I however like the skillet as I can get a lot of juicy taste for the sauce by de-glazing the pan. Either way I am sure this easy quick recipe will be a nice change of pace for any family. 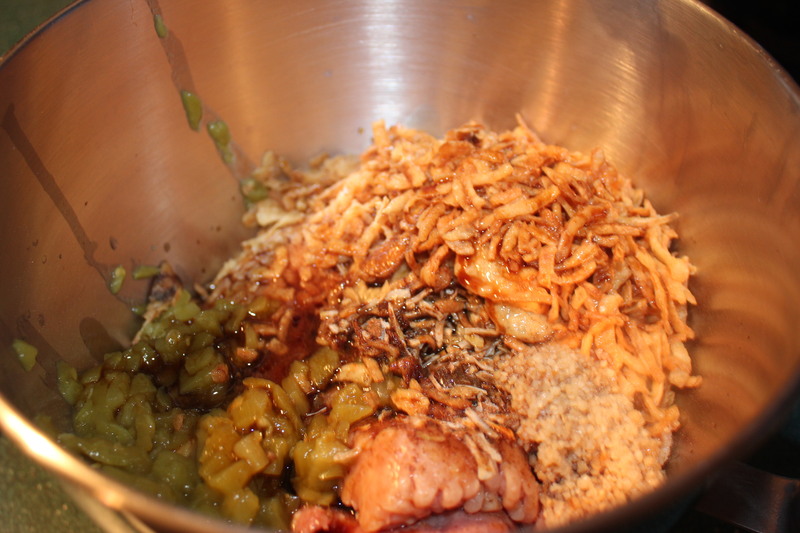 In large bowl combine chicken and turkey, fried onions, cranberries/walnuts, diced chili, egg, panko crumbs, 5 spice, salt and ginger; using hands or mixer, blend well. Shape mixture into 1 1/4″ balls. 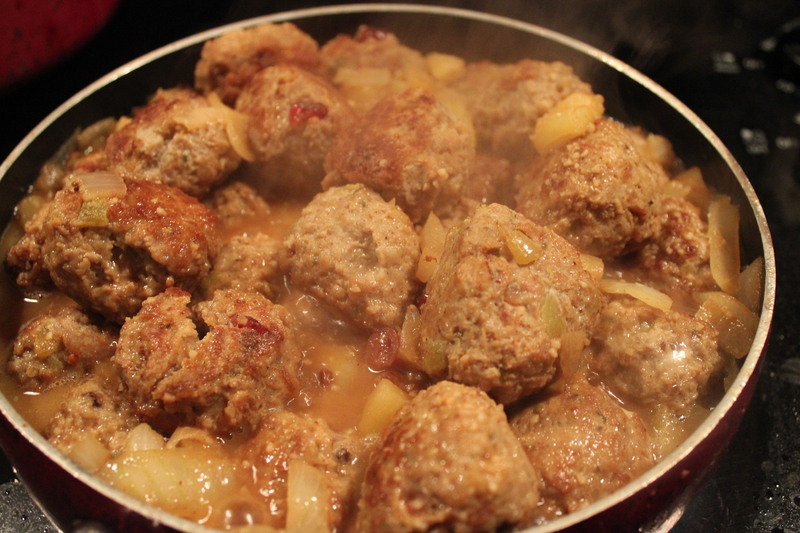 In 12″ skillet over medium high heat, heat oil; add meatballs, cook about 12 minutes, turning frequently until well browned on all sides. Using slotted spoon, remove to plate. 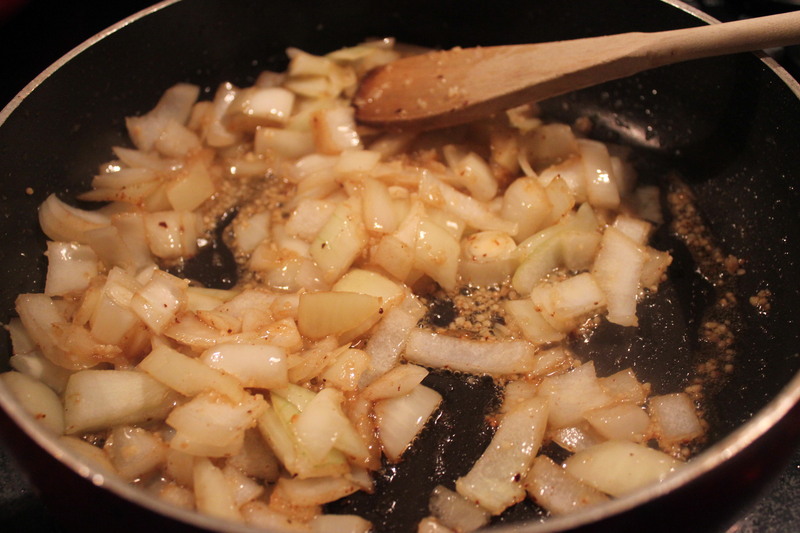 To drippings in skillet, add onions and garlic; cook, stir over medium high heat, about 5 minutes, stirring frequently until crisp tender. 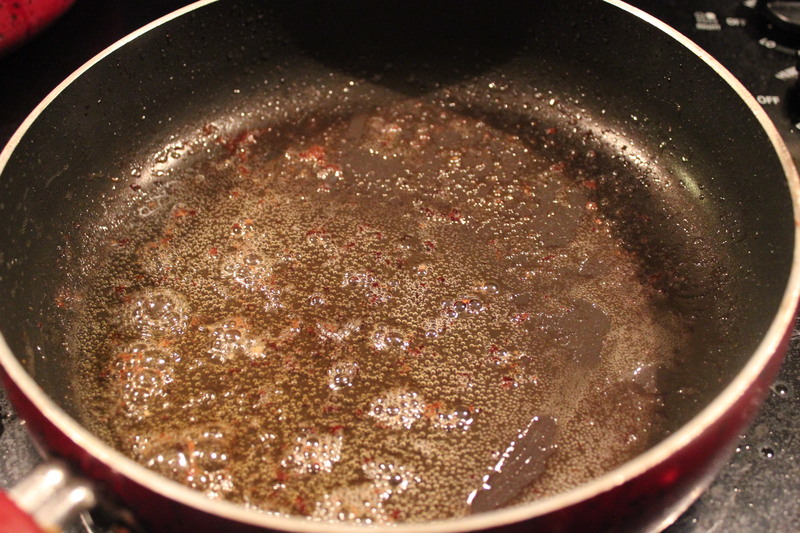 Pour the white wine into the pan to de-glaze the pan, scraping up all the cooked bits from the pan. 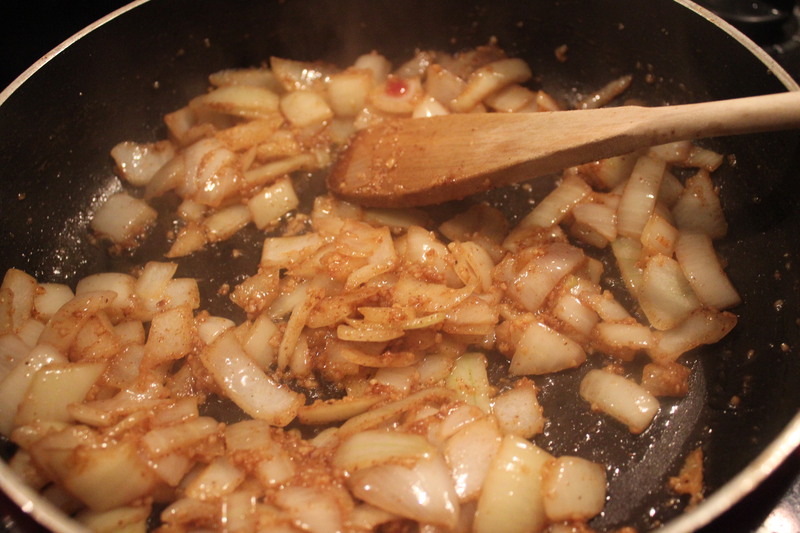 Add the pineapple with juice into the skillet along with vinegar, sugar and ground red pepper. Increase heat to high; bring to a boil, stirring. Boil 1 minute. 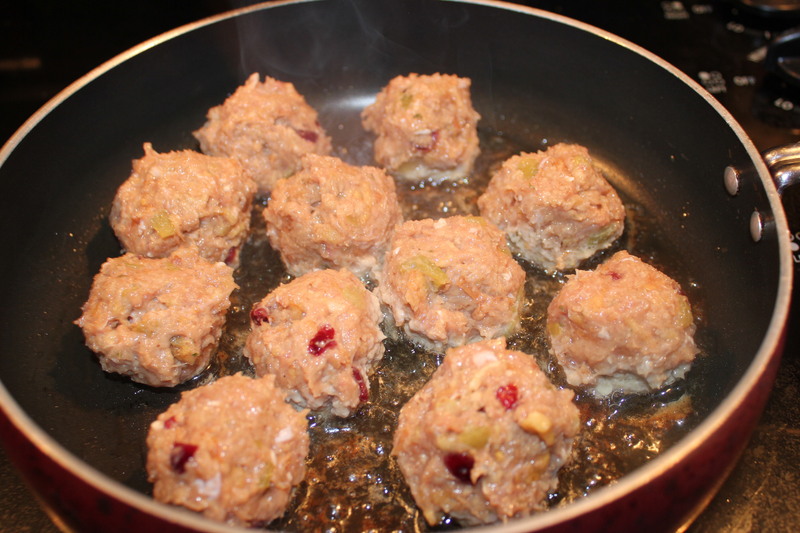 Return meatballs to skillet; cook 3 to 5 minutes longer until heated through. Thanks for linking my pizza meatballs to your post. It’s a fantastic recipe. Hope you try it sometime! I would love to and I actually think I may do it this week with ground chicken. I will let you kow how it turns out! I’m sure it will be wonderful. Ground turkey will work as well.